In which The Gay Recluse finds a silver lining. 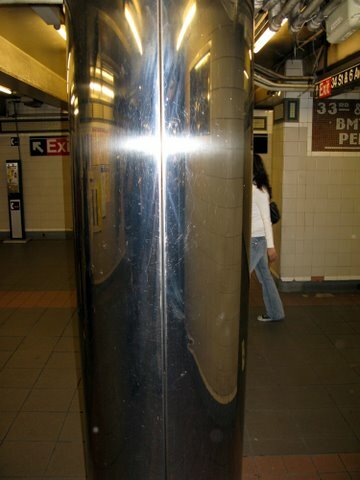 We’ve already written about our bad karma at the 34th Street Station, which is filled with ungainly chrome columns and awkward ramps. 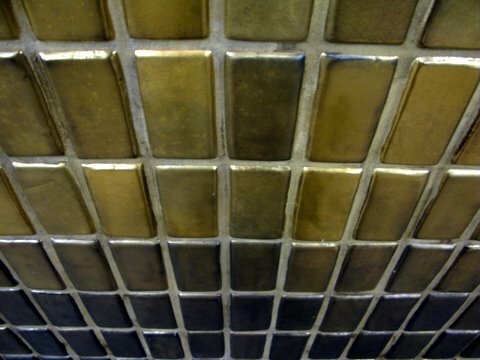 But just the other day, we noticed an infinite wall of gold tile. We’re not sure why it took us two years to find. It’s something we now look forward to seeing every day. 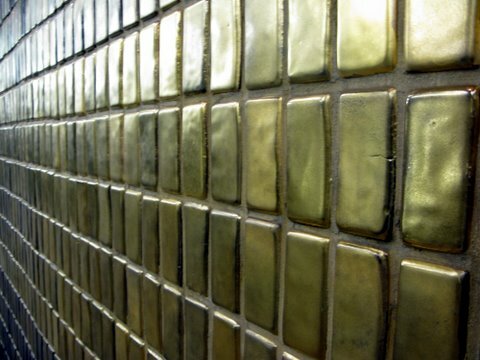 Our only regret is that the entire station isn’t covered in the same tile, the way it is in Berlin. 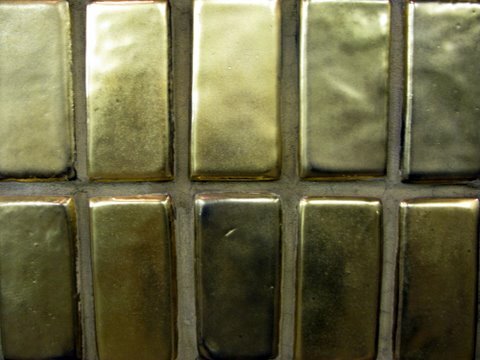 Infinite mysteries hidden in the subway stations in NYC. Thanks for showing me this one. Thanks, Stal — my pleasure!